This is just a few of our cows. KT Ms Rusila 315T is a daughter of BVR Raftsman 028X ET. She is a great cow that the kids showed in 2014. BB Ms 626 Neon 0046 is a nice big cow with a lot of eye appeal and depth of body. She is a very maternal cow that she passes down to her calves. She is by 626S. 301T is a really nice, well marked 3/16s heifer. She is out of 901K, a Champ daughter out of a One Step cow. This heifer’s dam is a Hereford bull from BB Cattle Co, that the kids named Ferdinand. She was born 1/10. Little Red was Anna’s show heifer and is another great daughter out 1050, the bull from Bill Cox in Pomeroy and out of 3027. This is a more moderate built cow that is very feminine but with lots of flesh and depth of rib. She is a very desirable dark red color and has a very pretty udder. 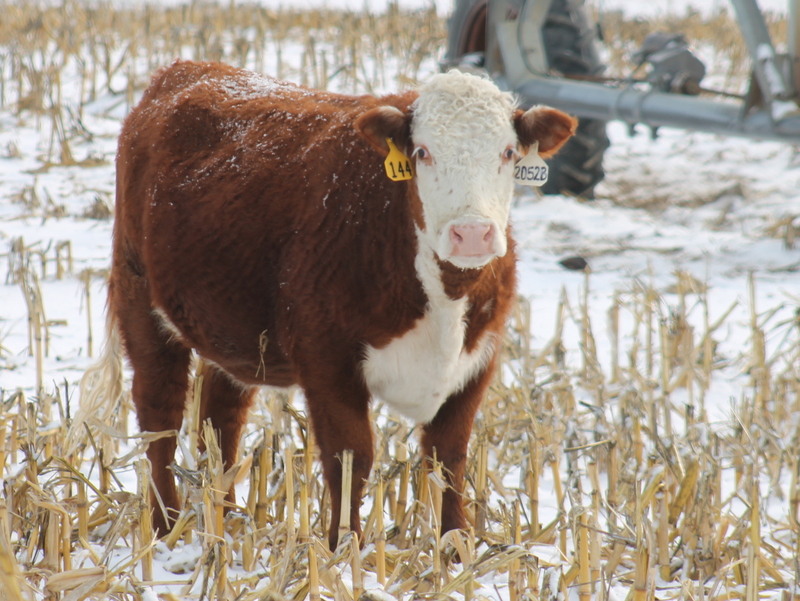 Arcee, is a daughter of BJ L1 Domino 2637 out of a Domino/7Z cow. Very pretty, feminine heifer, yet still carries the big bone and ability to produce. Kaine and this heifer were a great combination in the summer of 2013 and were at the top of every class. Arcee is a very pretty mover and has a natural show ability. This is Kaine’s cows. 2052B is another cow we bought from BB. We were intrigued with this cow’s pedigree as she goes back to some great old time breeding. She is out of BJ L1 Domino 2637, so is a linebred Domino on the top, with her dam being an own daughter of the great female producer 3007 out of a 124H cow. This is another moderate framed cow with a good udder. 101K is a really well marked heifer out of 404K, a Dominator daughter. This is a fancy red heifer with great markings and good eye pigment. 105K is a soggy built heifer that likes to be the center of attention, I have more pictures of her then any other calf. She is a flashy with nice markings and a nice wide topline. Her sire is Willy and her dam is 4155E, an old “Spot” cow. KT Times a Domino 525 is a really nice Times A Wastin cow that Jaxsen showed as a Junior Yearling heifer at the Summer Sizzle in 2016. Times A Wastin was the Champion of the World in 2013, 2013 NWSS Grand Champion Horned Bull and Supreme Champion! He is a bull with the right kind of power at the right time! A power bull in physical stature as well as on paper with unprecedented eye appeal! Comes from a maternal powerhouse Dam of Distinction that never misses! Very conservatively marked with 100% eye pigmentation. Her dam is BB Ms 7052 Domino 0053.